Camping at a festival is like becoming a part of a colorful and vivacious village that only exists for a few days. It’s where friendships are made and adventures begin, where everyone is accepting of others and ready to have a good time. 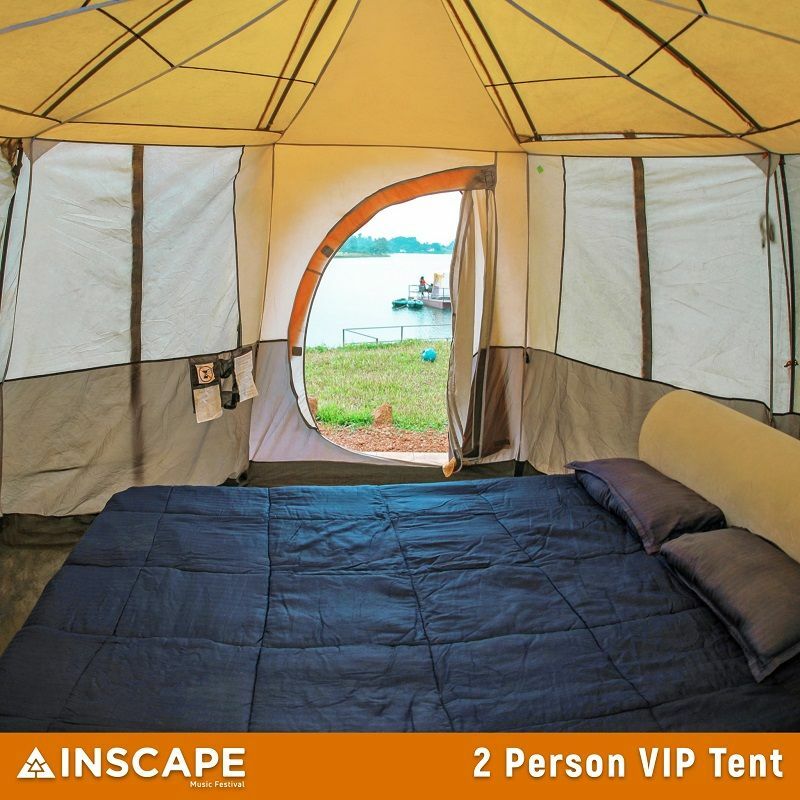 Inscape is an ultimate experience stepping into the world of music and nature. 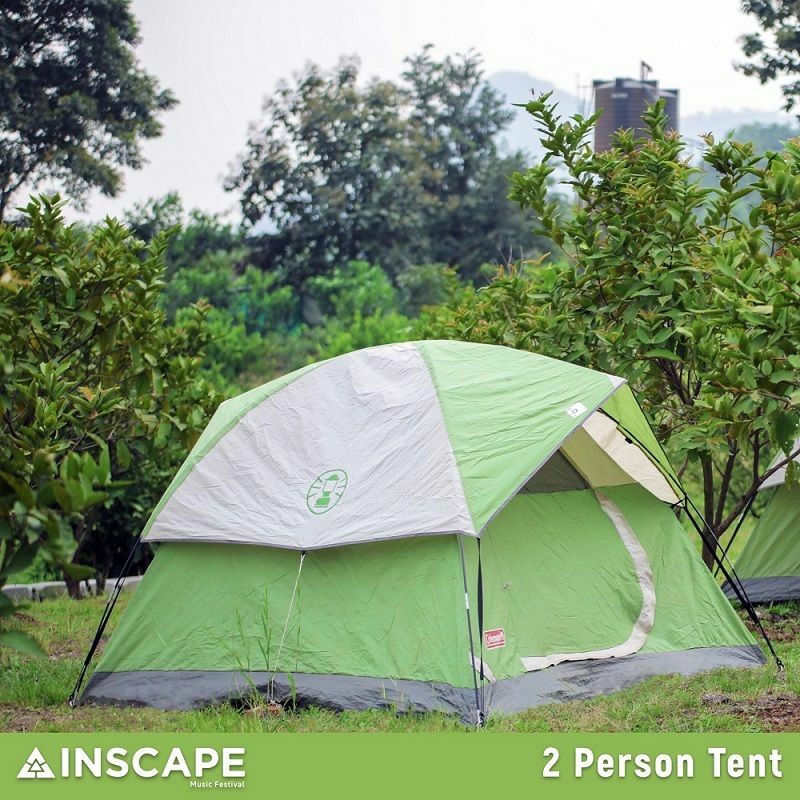 We at Inscape strive to give you the best in music along with a serene camping experience, where you get to disconnect from the city life. Enjoy our ever epic curation of the best electronic music line up. Q. What are the dates and location for Inscape 2018? A. Inscape will take place on 22nd & 23rd of December 2018. Campers stay overnight until check-out at 2 PM on Day 1 & Day 2 depending on their package. Day pass holders can stay back for an hour after the performances end on both days. If they wish to stay back overnight they can purchase a tent at the Box Office at any time. To get there you have to come via the Mumbai-Pune expressway and take the Khopoli exit, it is advisable to search for "Sabharwal Farm" on Google Maps. Q.What are the festival timings for day pass holder and day + resident pass holders? A. Gates open for day pass holders at 12 PM on 22nd & 23rd December 2018, day pass holders will have to vacate the premises once the performances end. Day pass holders cannot stay back unless they purchase a tent. Day + resident pass owners can check-in at 10 AM for the days they've booked for and will have to check-out by 2 PM. Q. Is there and age limit for the festival? A. Inscape is strictly for over 18-year-olds. Purchase and consumption of alcohol will be strictly controlled at all times. We will require any government ID proof, which will be checked when entering the event as well as any time on venue grounds. A. Tickets are to be collected from the Ticket Booth/Box Office at the venue. You will need photo ID proof, print out of the confirmation email. Day pass holders and Campers will have separate entries. Campers in addition to print out of the confirmation email will have to carry a government ID for each guest checking in. Q. What does the day pass include? A. It gives you access to the festival for the days you are booked for and it strictly does not include access to the campsite for any purpose. This pass is just for entry and it does not include F&B or Water Sports. Please note, there will be no re-entry and you will have to vacate the venue at the end of the performances. Q. What does the day + resident pass include? A. 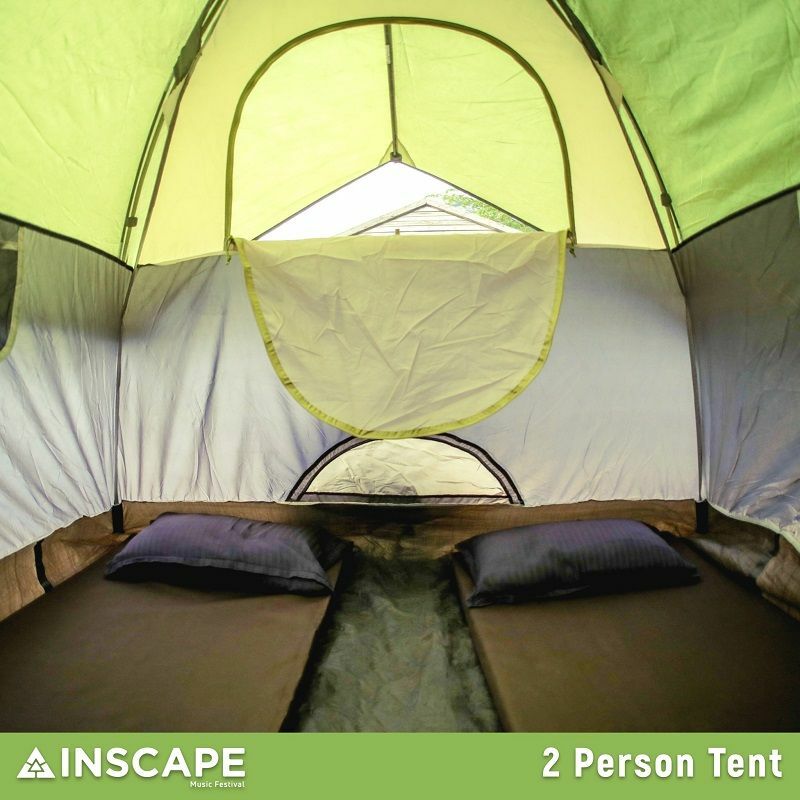 The day + resident pass includes a night stay in a tent and festival access. Please note, check-out time will be 2 PM. Q. What is the itinerary for users who camp through the night? A. During the daytime, the focus will be more on activities, water sports and you will have a chance to indulge in barbecues and beverages with performances, take in the views and relax. Night time will include DJ performances and bonfires, with special things we've planned for you. Day pass holders will not get to stay back at night unless they purchase a tent. Q. What are the food options? And is there any veg? A. There will be food stalls available at the venue and yes some Veg food. Q. Can I bring my own alcohol & Drinks? A. You are strictly not allowed to carry your own alcohol. Any alcohol that you bring will be confiscated. Q. Where can I park? And is parking fee included in the festival pass? Ample parking is available at no cost. Camping pass and day pass holders will have separate parking for their convenience. Q. What are the items that prohibited? We reserve the right to refuse admission to the festival at any time. Also, any bags brought into the event will be searched upon entry. Weapons, explosives, firearms, glass bottles, aluminum cans, hazardous and breakable materials. Fireworks, lasers and anything else that can interfere with the artists. Professional DSLR, recording devices, video equipment that not been pre-approved. No camping gear of any kind will be allowed into the venue. No helmets will be allowed inside the festival. Q. How can I pay for things at the venue? A. You can pay by Cash & Credit/Debit cards. Q. Is there any advised clothing? Especially for the water sports? A. For the festival, you are free to wear anything you want as long as it isn't offensive or too revealing. For water sports; swimming gear or appropriate comfort clothing should be fine, we will take strict action against anyone misbehaving or being inappropriate. Q. Are there changing rooms? A. There are restrooms where day pass holders can change and campers can change in their tent or their platform restrooms. Q. I do not know swimming? Can I do the water sports? A. Yes, you will be under the professional guidance and we will require everyone to wear life jackets for utmost safety. For any emergencies, lifeguards will be on site. Q. Will you provide training for the adventure activities? A. Yes, you will be trained before each activity. Q. Is it a pet friendly festival? A. Strictly no pets allowed, please do not show up with pets for the event expecting entry upon request. If at all you do not follow, you cannot claim a refund. Q. 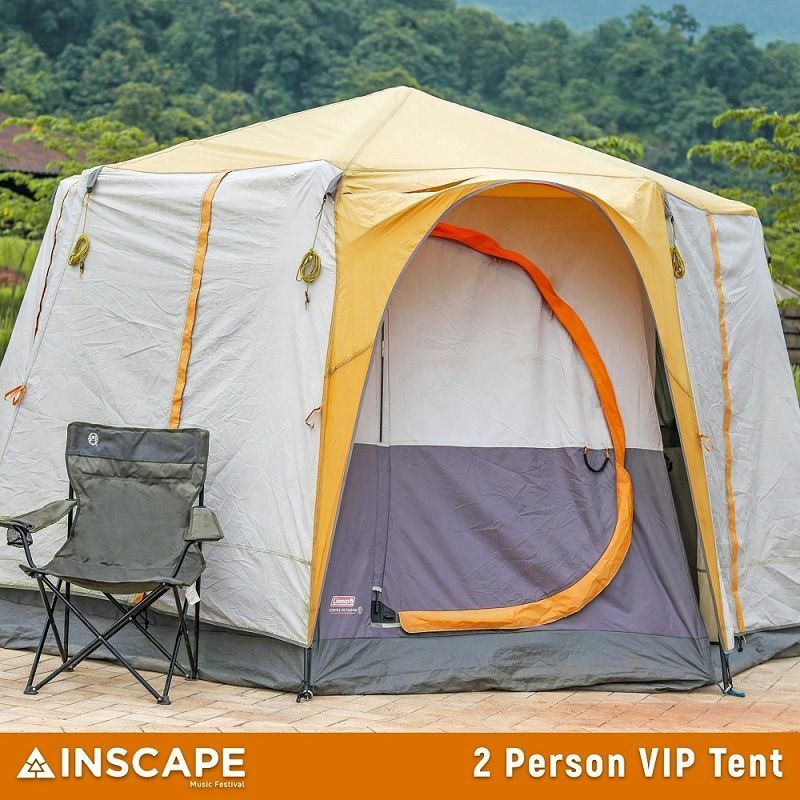 What kind of services does Inscape provide at the festival? A. Friendly male and female security staff; a clean and safe environment; information booths and more. Q. What about medical emergencies and general provisions? A. We will have a first aid kit whenever needed and an ambulance on site for any emergencies. For general items, we will have a general store at the venue. Please note, as much as we will provide assistance during an emergency we are not responsible for any illegal consumption or harm was done. Q. What is the drug policy? A. Any kind of illegal or prohibited substance is not allowed. We will be taking all measures for thorough checking at entry. Strict legal action will be taken against anyone caught with any illegal or illicit substances and we reserve the right to vacate you from the event at any time. Q. Can I get a refund of my booked ticket? A. No refund will be given once a ticket is booked. Bank statement showing both transactions and the refund will be processed. A. All tickets purchased are strictly non-transferable. Q. Will my bag be checked? A. All your bags will be checked upon check-in. If any prohibited items are found you are required to either get it confiscated or put it in your car. At any point, we reserve the right to refuse admission. Q. Can we bring our own tent? A. You cannot bring your own tents. This functioning campsite and there are tents set up already. Q. 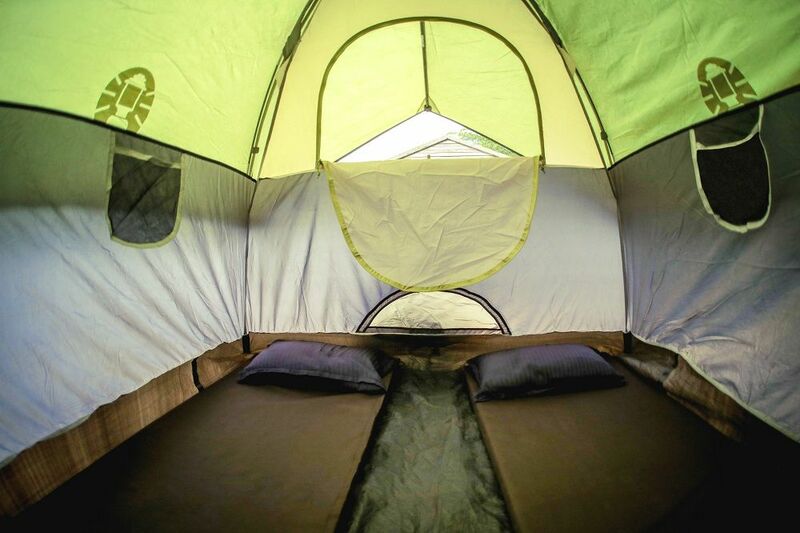 What are the configurations of tenting options? A. We have 2 Person, 4 Person & 2 Person VIP Tents. 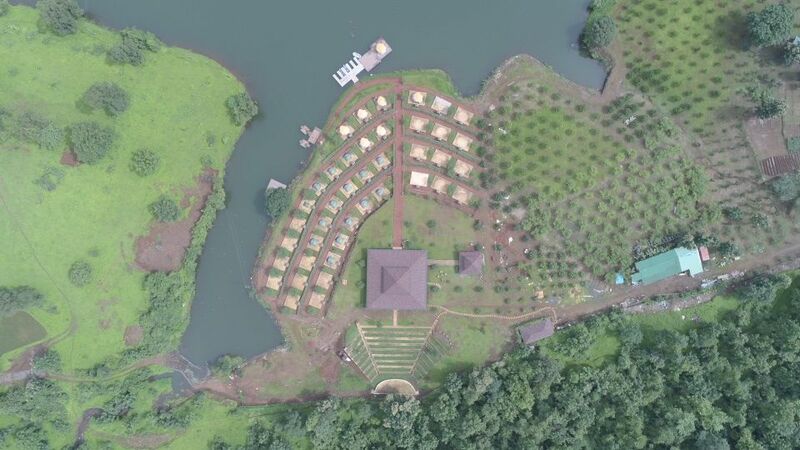 The 2 Person tents are on the lawns with common toilets and common showers, they will already be set up. The 4 Person & the 2 Person VIP Tents will be on platforms along with private toilets but you will have common showers. Q. 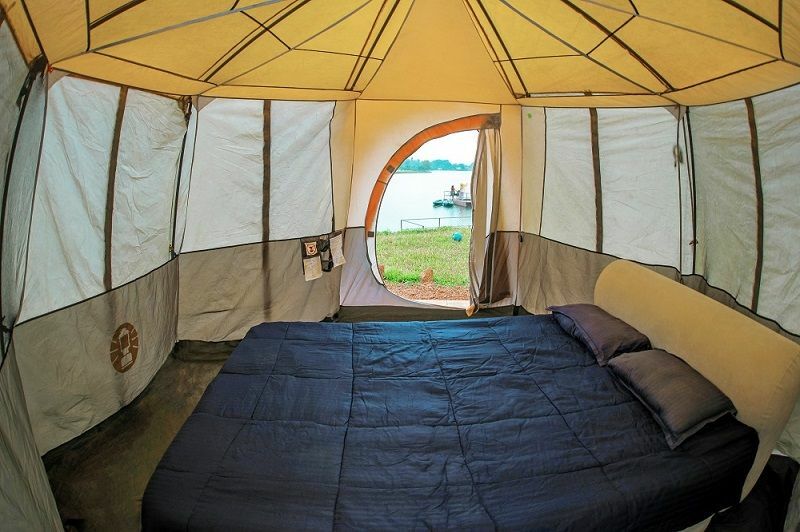 Can I smoke in my tent? A. You are STRICTLY not allowed to smoke in your tents. You may smoke outside your tents or in other designated smoking areas. Anyone found smoking in their tents will be fined Rs. 5,000 or will be asked to vacate the premises. Q. Can I take any alcohol or food inside my tent? A. You cannot consume alcohol or food inside your tent. There is ample seating outside. We will have security at all camp row entries. Q. Are there showers available? Q. What do you get in the tents? A. 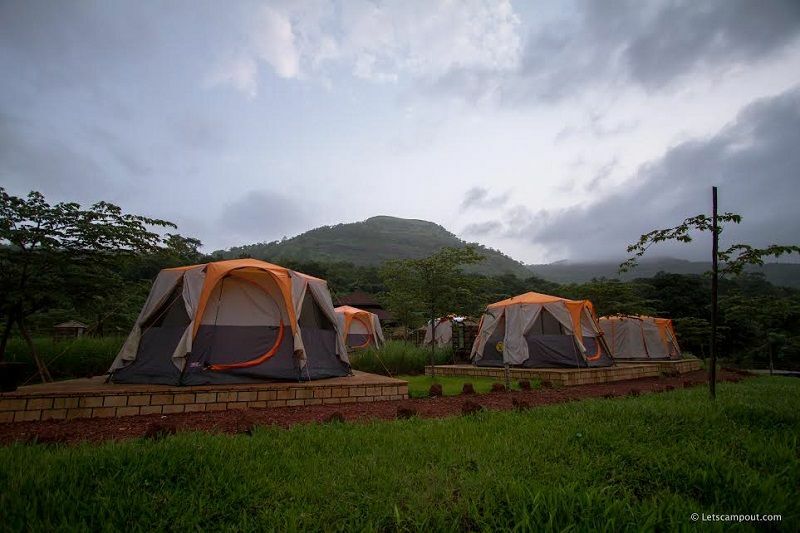 Each tent will have a mattress, comforter, and pillow for each guest. You will be given 1 complimentary bottle of water at check-in per guest. VIP tents will have a bed, side table, lamp & toilet kit. Q. What do you not get in the tents? A. You won't get electrical point please carry power banks (We will have few charging points around the venue) But you can buy torches/lamps at the venue. Q. Do I need to carry my own camping gear? 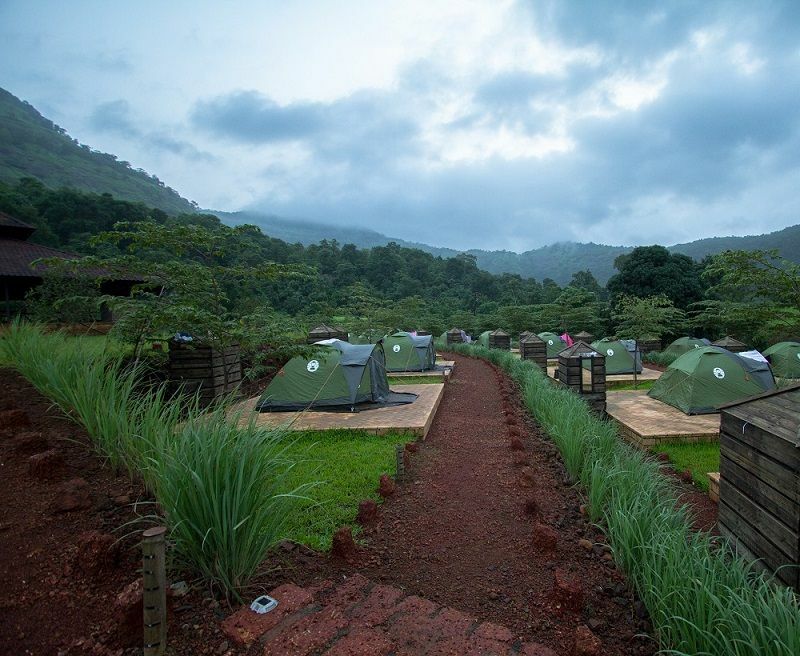 A. Tents will be fully installed as per your bookings. You do not need to carry any camping gear. 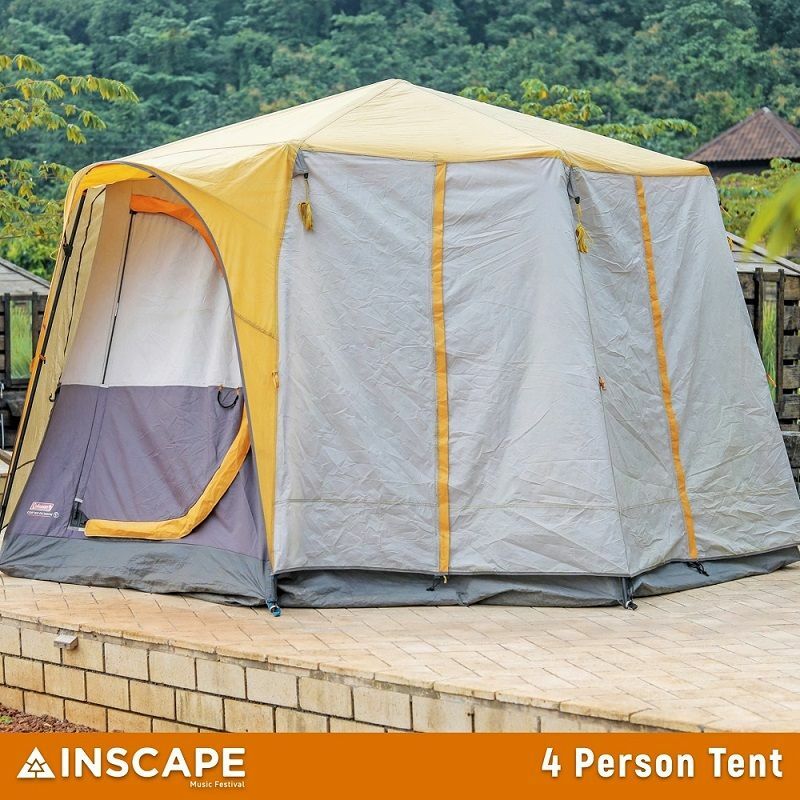 No form of modification or adjustments can be made to the tents provided to you. Q. What should I carry for camping? A. Power banks, towels, medicines, and toiletries are recommended. You may also bring your own torch or a small portable light. Q. Can I choose which tent will be allotted to me? A. You may request the allotment at the venue during check-in as per booking on a first come first serve basis. However, we do not guarantee any preference in this case. Q. What should I be aware of as a camper? A. This is a music festival and there will be loud music playing into the late hours. You are not allowed to take any day pass holders into your tents. All tents are strictly non-smoking. A. It gives you access to the festival for the days you've booked for and it strictly does not include access to the campsite for any purpose. Q. Can I upgrade my day pass to a camping pass at the venue? A. If tents are available you may book at the venue box office but prices are subject to change. Q. What does the day pass entail? A. The day pass holders get to enter the festival area to watch the performances, they get to indulge in activities including water sports, they can shop at the flea stalls and can purchase food & beverages. Q. Do day pass holders have separate restrooms? A. Yes, there will be sufficient restrooms and showers are available for both men and women on the festival grounds. Day pass holders are not allowed to use the campsite toilets. No refund on a purchased ticket is possible, even in case of any rescheduling. Beware of fake/ counterfeit/color photocopied tickets. A ticket shall not be a valid ticket if the barcode / QR Code/hologram has been tampered with. Unlawful resale (or attempted unlawful resale) of a ticket would lead to seizure or cancellation of that ticket without refund or other compensation. No alcohol will be served to patrons under legal drinking age. Alcohol will only be served on the display of a valid ID proof. If you intend on drinking at the venue, we recommend you use public transport or assign a designated driver to drive you to and from the venue. In case a patron below legal drinking age is caught drinking alcohol he/she shall be required to forthwith exit from the event. Any disputes to be settled under Mumbai jurisdiction courts only. Rights of admission reserved, even to valid ticket holders.